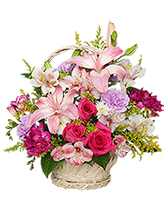 We deliver the first arrangement on Valentine's Day along with a "Flowers for a Year!" certificate. 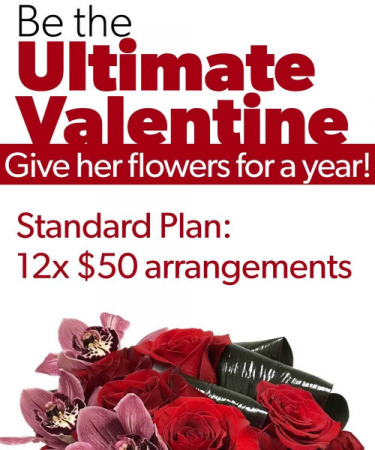 Then we deliver an arrangement every month, spreading the love throughout the whole year! 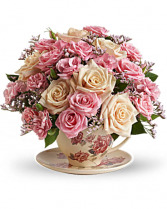 We did not charge for delivery, but if it’s outside our delivery area there may be a delivery charge. This is a wonderful gift! !